"Chicken Golden Spike" Tottenham hotspots the future of the Premier League. Revealed the ticket price of football year on the new stadium was completed. The cheapest tickets start at £ 795, the most expensive is £ 1,995, and the Privilege tickets can be used for a free private bar at £ 2,200, which is the most expensive price in the Premier League ever. 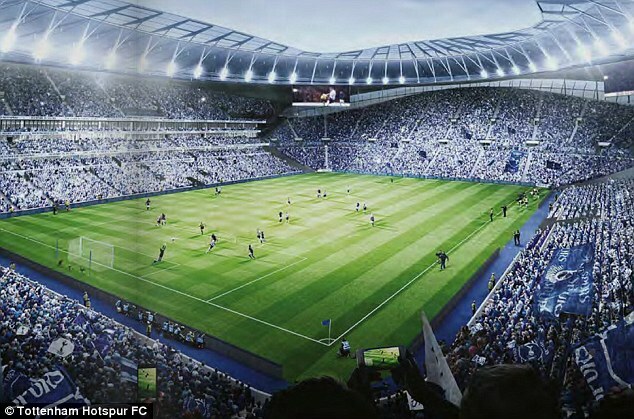 Tottenham Hotspur is in the midst of a new home stadium. By building the old White Hart Lane from the 2016-17 season with a capacity of 62,000 seats, which is expected to be completed in 2018-19 season, the club has now rented the stadium. Bally is a temporary home arena. The club has come out to open the ticket price already. Including the South Stand. This is a side of the local fans, which is designed to be the largest single-layer in Europe. It can hold up to 17,500 spectators. For the year ticket, the cheapest flooring will start at £ 795 for adults, £ 595 for children between 18-21 years and £ 397.50 for seniors and youth. South Coast Standoff The cheapest for adults is £ 875, while the most expensive is £ 1,995. Tickets are divided at points throughout the stadium. There is also a £ 2,200 ticket, which is a privilege-free ticket to use the private bar and restaurant. There are more than 60 types of food and drink available on the longest bar in England at 65 meters. The ticket price announced will make it the most expensive stadium in the Premier League. If the ticket prices in the 2017-18 season of all clubs continue to hold the price until the next season.